Home BFB Christmas Event 2012 Tickets are now in! Tickets are $25 each, and are now available for purchase either in-person, by delivery, or online. If you purchased your tickets online, please bring your Paypal receipt with you to the Dance and your tickets will be waiting for you at the door. BFB is asking each one of you to sell 4 tickets total; with all our co-workers, friends, neighbours, and family members we can make 2012 a success! 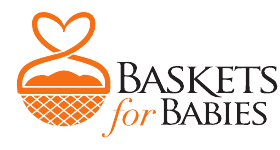 This year, lots families are losing their jobs, lets put a strong, confident arm around their little ones, and do our part by making the 2012 Baskets for Babies Christmas Dance a complete SELL OUT!!!!! The Silent Auction tables will be full from end to end with the best of the best: Certificates for the best Restaurants in Toronto; Jacobs Steakhouse and the Kit Kat on King, Christmas Dinner for 8 with all the trimmings from The Village Butcher, well known Designer Apparel, Jewellery from Michael Spigelman, and a weekend Vacation package with return Air Fare from Porter Airlines & Vision 2000 Travel. Sell a ticket, bring a friend, bring lots of friends. Be part of the wave of change and come make some friends, laugh, dance, and then collect the loot from your winning bids.